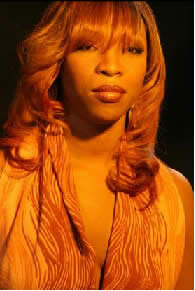 Headline act for Divas Night Out, held at Gaitey, St. Lucia the weekend, Macka Diamond never made it to the stage. The DJ wishes to apologise to all her fans in that island as she was looking forward to doing her popular songs for the crowd there. Publicist and booking agent for the artiste Ray Alexander said the promoter breached the contract agreement. According to Alexander it’s not the norm for artistes or representatives to take EC dollars knowing that upon return to Jamaica it would be valued less than the contractual agreement.”Therefore at 4 am in the morning, there was no way for us to get that currency changed to US at that hour of the morning,” Alexander explained. As such the decision was taken not to perform as the promoter’s action was a clear breach of the contracted agreement. Macka Diamond is sorry about the whole thing as she had her heart set on performing. She is particularly fond of the people there and it is her hope that she will be back there soon to make up for this disappointment.